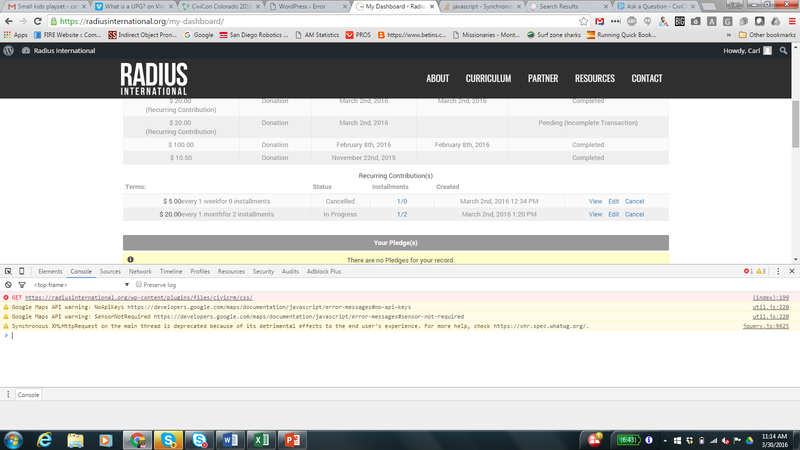 The links on our donor dashboards do not open unless you right click and select "Open in a new tab". I am referring to the "View" "Edit" & "Cancel" links that appear with recurring donations. I am using Wordpress 4.4.2 & Civi 4.6.14 this is a new website and Civi install so this is not something that was working and recently quit, it has never worked for me. Any suggestions so they function normally? The guys at Ginko Street fixed it for me. It was a conflict with my WordPress theme and Civi shortcodes. Not the answer you're looking for? Browse other questions tagged dashboard links or ask your own question.